THE BEST BANANA FOR THE BUCK. As we wrote in a piece for D Magazine, ORCHARD At The OFFICE prides itself on operational frugality in order to spare no expense in obtaining quality produce. In our office, we keep our budgets trim - so that in your office, you can keep your waistlines trim. For us, it's all about value. 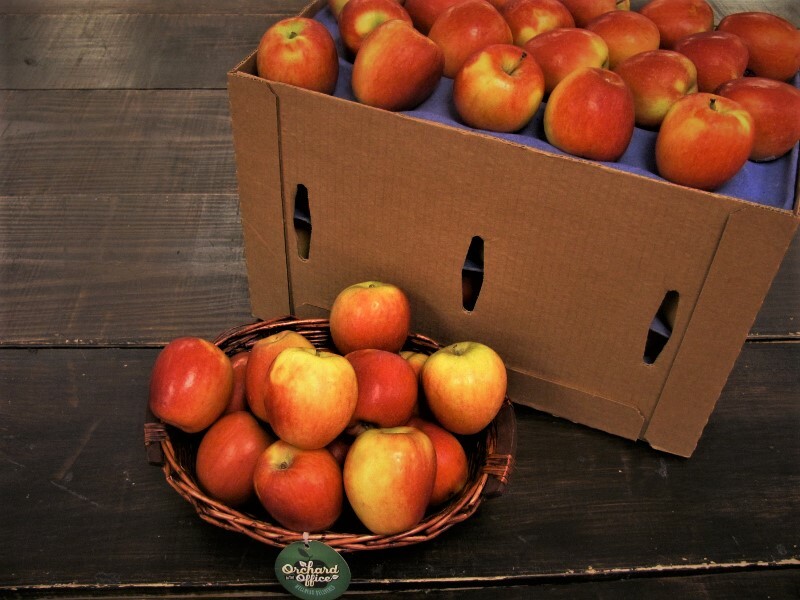 Here, we provide information on our fresh fruit: nutritional information, basic data, and links to additional resources. AMERICA'S FAVORITE OFFICE FRUIT. 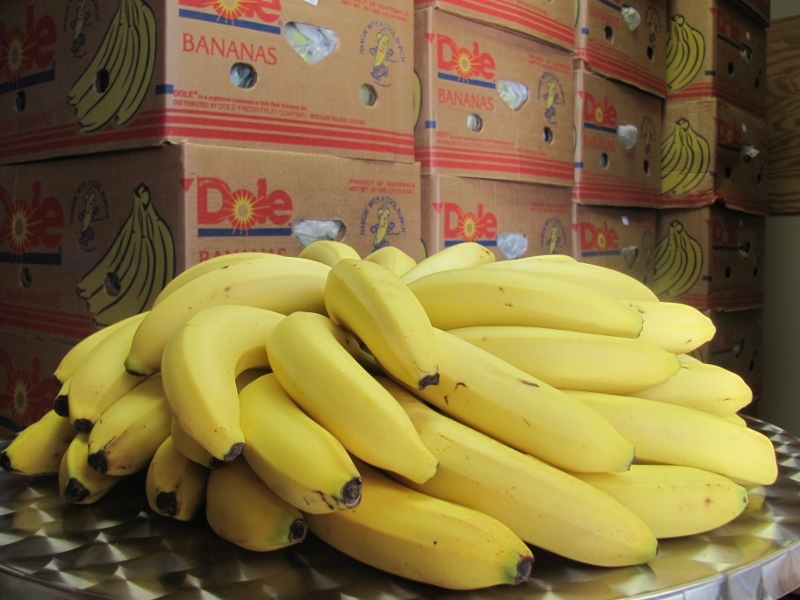 We use Dole-brand bananas generously in all our fresh fruit packages (although you can always customize your order. Known primarily for their potassium, bananas are laden with all manner of nutrients...see the nutritional data courtesy of the National Academies. We've got lots to say about our yellow buddies, so check out our extensive page on bananas. It's perfect if you're looking for information on bananas from history to pop culture to consumption figures! EVEN DOCTORS CAN'T KEEP AWAY. Our red and green apples are JAZZ apples and Granny Smith. 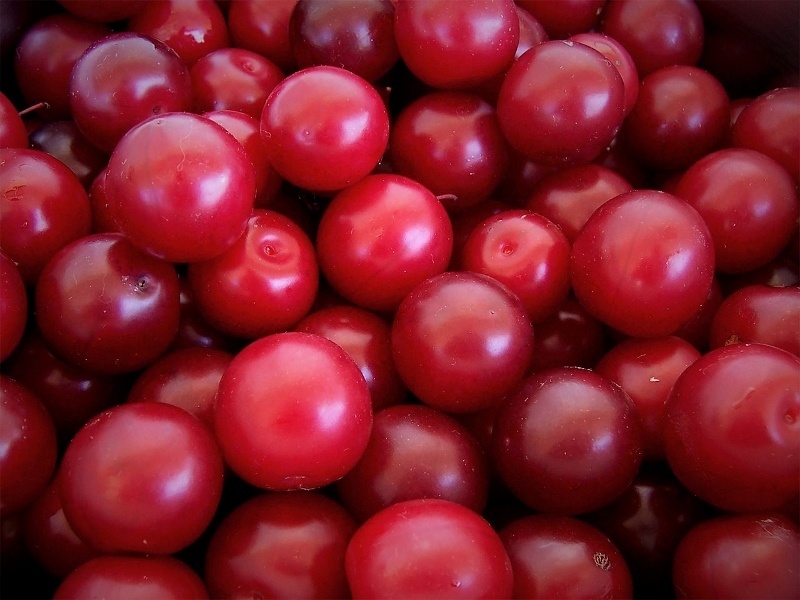 They're a great source of antioxidants and LDL-decreasing properties. New research shows that the polyphenols found in apples can do wonders for blood sugar regulation, specifically how the body creates and processes insulin as well as slowing carbohydrate digestion and reducing glucose absorption. A study mentioned on the World's Healthiest Foods site shows that eating an apple fifteen minutes before a meal decreases caloric intake by 15%. THE CHOICE OF A NEW GENERATION. These little things are wildly popular! For additional information on the broad family we refer to as clementines, check out our detailed Clementine page. As with any citrus, clementines are packed with Vitamin C, which WebMD succinctly points out "is necessary for the growth, development, and repair of all body tissues." They're easy to peel, fun to eat and give you a great energy boost! "D'ANJOU WANT ME, BABY?" 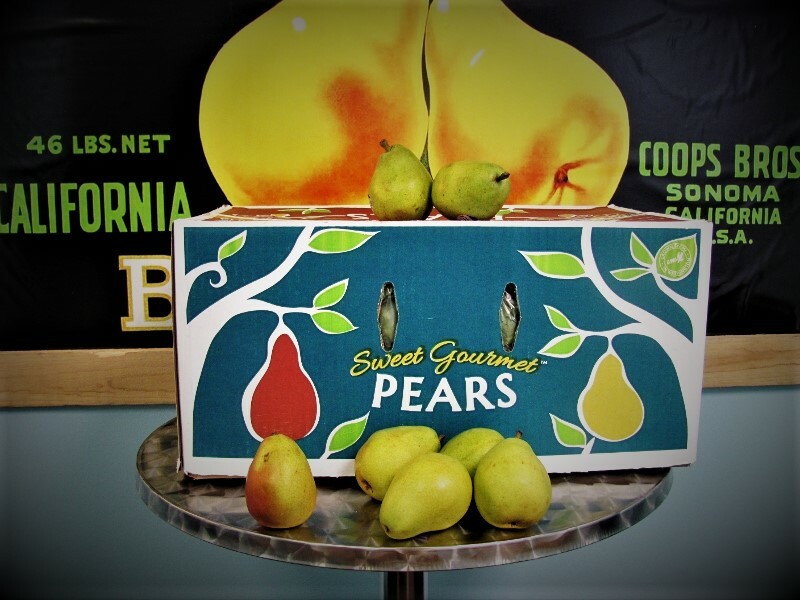 There are a great many varieties of pears, and while we primarily provide the crisp, versatile d'Anjou, we'll occasionally supply you some Bartletts, woodsy Bosc, or even the tasty Asian pear, foam netting and all! Pears, like all fruits, are a great source of antioxidants, which help mitigate cell damage. More notably, perhaps, is the pear's contribution of fiber to one's Recommended Dietary Allowance (RDA). Proper fiber consumption is a vital component to staving off potential medical issues such as diverticulitis, coronary heart disease and type 2 diabetes. But don't eat a pear out of fear - eat one because they're great tasting! If it's been a long time since you've had one, reach for a d'Anjou - odds are, you'll like it a lot more than you remember. IT'S ALWAYS SUNNY IN THE FRUIT BOWL. 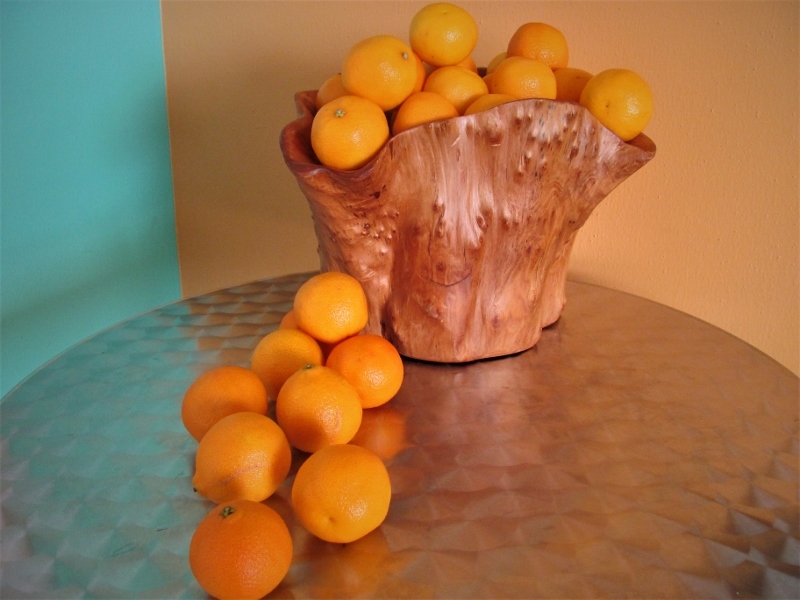 Oranges, as with all citrus types, are touted for their immune-boosting qualities. While there is no evidence supporting its effectiveness on curing the common cold, the Vitamin C in oranges can help prevent the cold from happening in the first place. 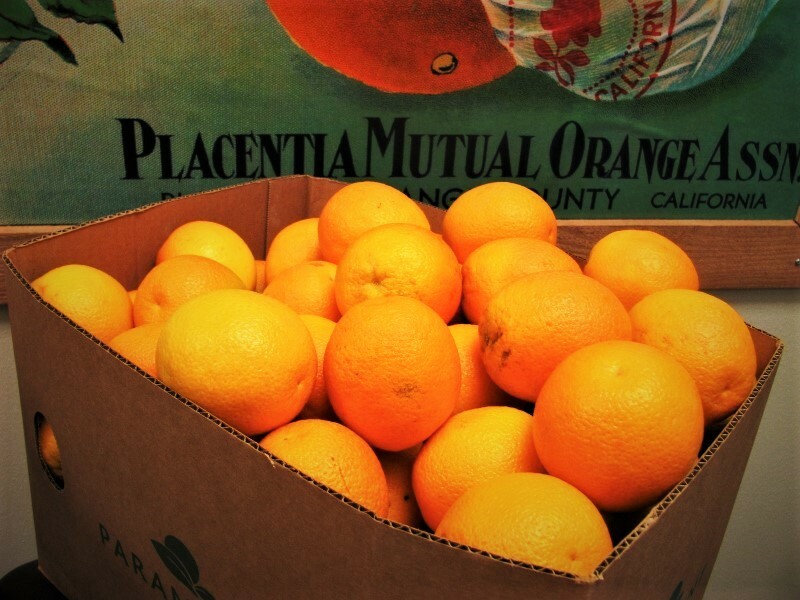 From coast-to-coast-to-coast, Atlantic, Pacific and Gulf, oranges bring a little bit of sunshine to any office! THE UNIQUELY TANGY FLAVOR. A lot of folks, when presented with a kiwi, aren't entirely certain if they enjoy them. This sometimes happens because people simply aren't sure how they're meant to eat them! The good news is: short of attempting to jam it inside one's nostril, there is no wrong way to eat a kiwifruit. 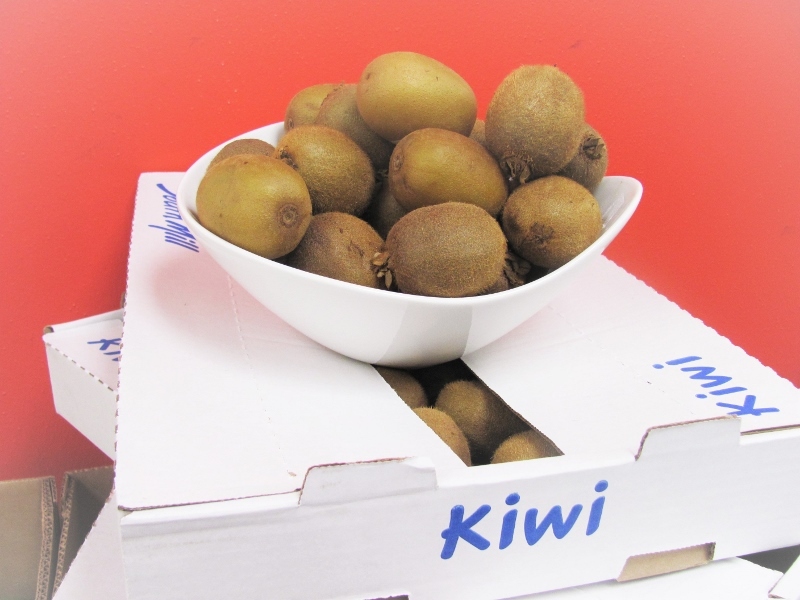 The California Kiwifruit Commission provides a useful FAQ on this fascinating citrus delight. So whether you peel it, slice and scoop it, or eat it skin and all, give this tasty delight a try! PEEL YOURSELF A TROPICAL VACATION. As with the kiwi, there's an air of mystery to the magnficent mango, so we've put together a mango information page with additional data from a variety of sources. Mangoes are a particularly good source of Vitamin A, which has a variety of benefits including fighting inflammation and boosting the immune system. (Here's a link to a great infographic from the Dr. Axe site.) 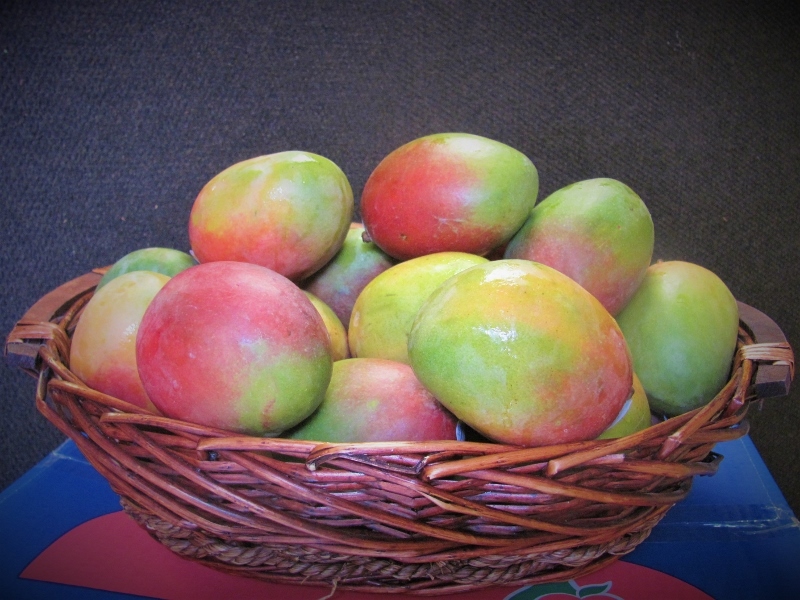 Eaten raw or mixed into smoothies or shakes, mangoes provide a sweet, low-calorie way to enhance your day! THE RISING STAR OF THE FRUIT WORLD. More and more, Texans are discovering the versatility of this favorite southern import. 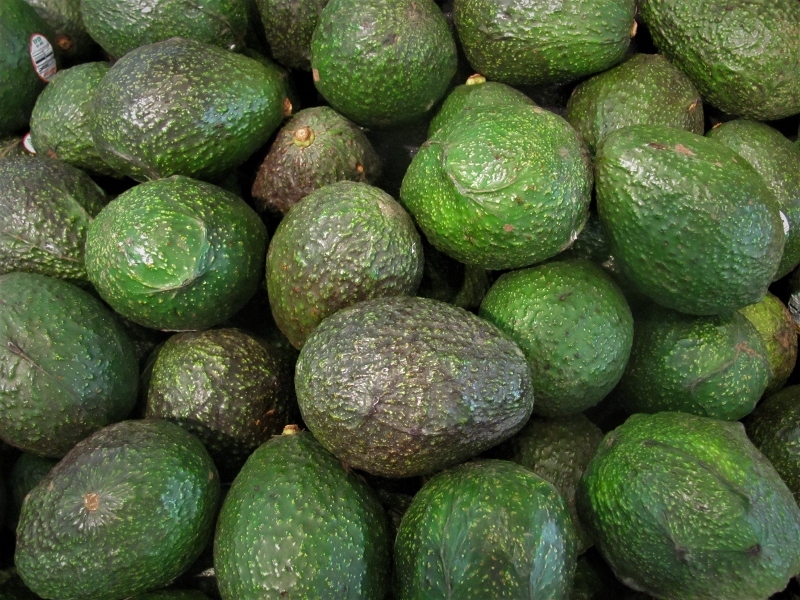 Sliced and salted, blended into smoothies, or smashed into guacamole, avocados provide a great source of oleic acid, a monounsaturated fat that greatly enhances many of our bodily processes, including cardiovascular function. It's a fabulous source of dietary fiber and Vitamin B5, which works as a catalyst to translate fats, carbohydrates and proteins into energy. ¡Vamanos! NATURE'S CANDY. 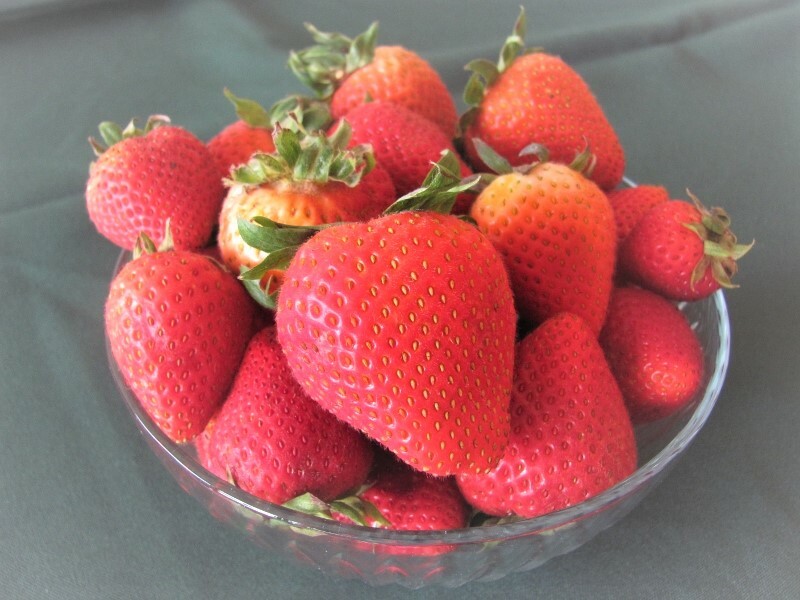 Most of us would probably take the opportunity to eat loads of strawberries even if there were no concomitant health benefits. So the fact that a cup of strawberries can provide us with more than the recommended dietary allowance of Vitamin C is yet another indicator of a benevolent universe. Strawberries are also a fantastic source of potassium and all its attendant benefits, as this infographic courtesy the Linus Pauling Institute at Oregon State University aptly demonstrates. Sweet and tart, fragrant and inviting, strawberries are an obvious office favorite! BENEFITS BY THE BUNCH. 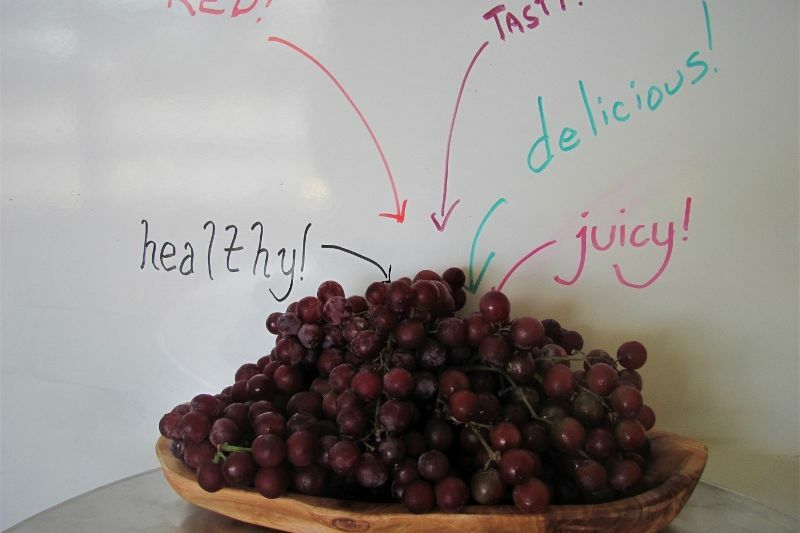 Red or green, grapes are a flavorful way to keep yourself fit and happy. It's often noted that due to their high water content, grapes are good for hydration - but let's face it, if you're looking for hydration, water is your best bet. Grapes are loaded with antioxidants, and have also been associated with eye health by diminishing retinal deterioration. So have some red, have some green, or get both with our popular Sidekicks: Grape Mix. LITTLE. BLUE. HEALTHY. Have you had your resveratrol today? It's an antioxidant particularly present in those tasty, tangy delights known as blueberries! While Americans have long enjoyed the taste of blueberries, they weren't always highly regarded as healthy fare simply because other fruits had more of certain vitamins and minerals. Increased awareness of phytonutrients, including resveratrol, made blueberries a key component in nutrition plans. With its benefits to the nervous system and insulin processing, resveratrol - try saying that ten times fast! - helps assist in the aging process. 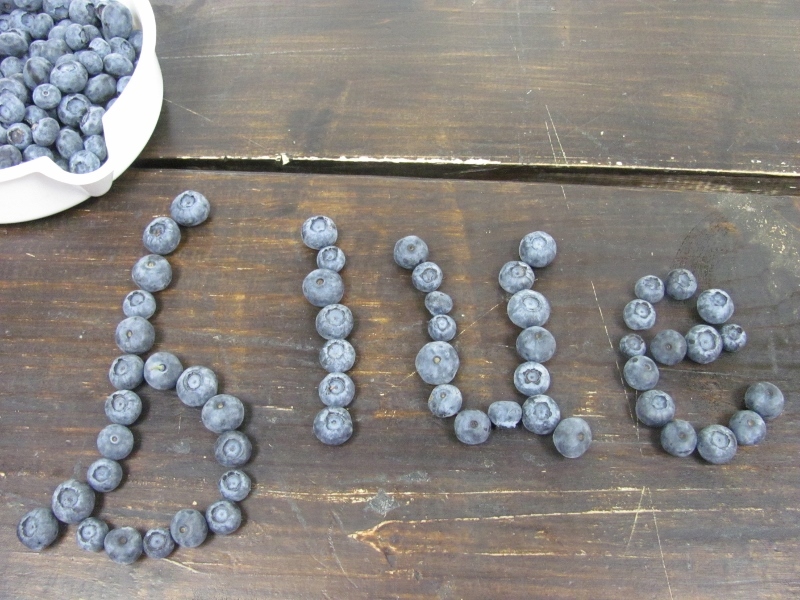 So grab a handful of blueberries today, knowing you'll be able to enjoy them longer as a result! BEAUTIFUL PLUMAGE. One good thing that happens in the summer is that it's stone fruit season. Plums, peaches, nectarines and apricots are harvested, and right here in Texas that means a wonderful variety of flavors to enjoy! As with other stone fruits (known as "drupes"), plums are a good source of Vitamin C, and can actually assist in the body's absorption of iron. Why is iron absorption important? Iron helps thicken the blood and assures it can transmit important nutrients to all parts of the body. If you'd like to see a study on foods that positively impact the body's ability to absorb particular types of iron, you can click here. The most salient fact, for our purposes, is that plums in particular greatly assist iron absorption. But we're sure you'll enjoy them primarily for the taste!